Building a “High End” audio Compact Disc player from scratch isn’t that difficult when using a CD-Pro2M unit to start with. Or the latest version, the CD-Pro2LF. This “Lead Free” unit is the RoHS compliant and firmware updated brother of the CD-Pro2M. To control this unit you can even order a complete controller-display pcb along with it, check out the links page where to buy a unit. Or, if you’re into audio/electronics/re-inventing the wheel DIY like me, you build and program a controller your self. So that’s what did. First of all, these pages are not intended to be a complete manual on HOW-TO build a CD player. It’s a collection of information that was already on the Internet supplemented with my own creations (like schematics, pcb and source code). As all DIY audio projects this one is never completely finished, I’m still working on it (from time to time). I try to keep this website up to date with the status of the project. On these pages you’ll find some information about the CD-Pro2M/CD-Pro2LF unit. The controller I designed, getting input from panel buttons, the remote control unit and some sensors, and controlling the CD-Pro2M/CD-Pro2LF unit. A micro-controller is nothing without some software and that’s what you will find on the The Source page. The power supply unit for the CD unit comes with a couple of relays for turning on and off the CD player in a decent way. A page of the actual mechanical building process is followed by some useful data-sheets and links. Enjoy reading and start building! If you like my work or like to get your hands on a programmed controller please consider a small donation. Make a €15 donation and get a FREE PIC16F871 programmed with the latest software version. Donate €20 or more and get a FREE PIC16F871 programmed with a personalized* software version. 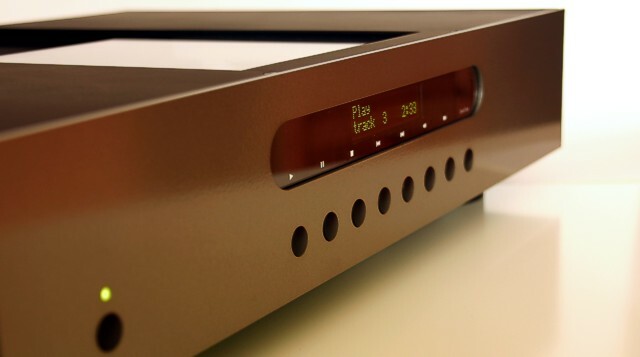 * a personalized version gives you the opportunity to get your own personal display text at start-up of your CD player, instead of the default (Bergrans) text.